B.R.A.I.N. Success is Your Success! What is the B.R.A.I.N. System? Welcome to my signature B.R.A.I.N. 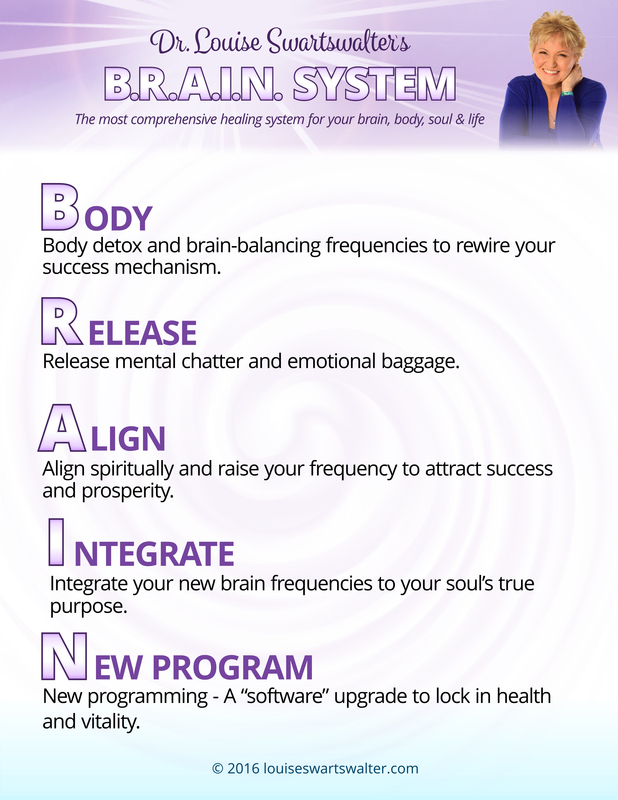 System, the most comprehensive healing system for the brain, body, soul and life out there. The B.R.A.I.N. System was developed to address healing in a multi-sensory way. This system gets quicker, more complete results by addressing the physical body, releasing old patterns, aligning you with spirit, and integrating a new program to help you reach your strategy goals. I created the B.R.A.I.N. System after years of observing patients in my clinic, as well as my students, when I was a special education and dyslexia teacher in my first career. I began using biofeedback/neurofeedback in the ‘90s with my students and their families first. After seeing the miraculous transformations I was able to achieve with them, I decided to found Albuquerque Natural Health Center, where for the last decade, I have combined bio/neurofeedback and naturopathy with other techniques into one integrated system – the B.R.A.I.N. System! While developing B.R.A.I.N., I observed how many of the illnesses and imbalances that I was seeing clients for had emotional components. I realized that blending bio/neurofeedback and naturopathy was not enough to affect the miraculous transformations I wanted to see in my clients. So, I began adding in EFT tapping, emotion codes, Australian Bush Flower Essences, and other techniques that balance emotions. However, I found that shifting the emotions and working on the physical body was still not creating enough of a change. So, I dug deeper. I found that unhealthy patterns begin in a person’s energy field. Which led me to add in another technique called Geotran, which is best described as energy work that “re-programs” the patient. Next, I incorporated a trauma release technique I call “brain-soul balancing”, to release anything the soul may be tied to that is holding a patient back from their success. And then, bam! I finally began to see the kinds of shifts I knew were possible all along! 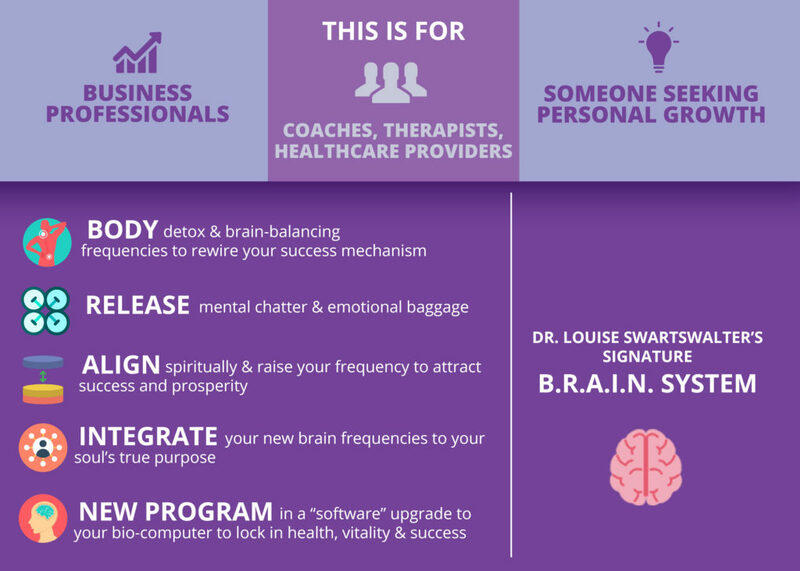 Integrating all of these powerful techniques into one system catapulted my patients and clients toward the success of their goals, whether health or career centered. I am the Beautiful, Balanced Brain Expert, a naturopathic doctor and certified biofeedback specialist. My quest has always been for complete healing of the physical, mental, emotional and spiritual bodies in the shortest time possible. Since it took me 16 years to get myself well, I was determined to find a faster, more comprehensive method for other people. During my health crisis, I was very ill. I was on oxygen for three years, slept in bathtubs, suffered with brain fog and depression, and I was basically allergic to the world. All I wanted was to be a mom to my beautiful children, who were ages 2 and 5 at the time. I recall praying and asking God to please show me the way, and show me what I was supposed to learn from this experience. Twenty-four years later I am healthy, and I own a natural health center where I have been blessed with the ability to help over 10,000 people in the last twelve years. Louise, I want to say thank you for this Blessed opportunity. I listened to your webinar this past week and couldn’t sign-up fast enough for "Awakening Abundant Life." After the webinar, I experienced a shift, that was not able to be expressed, but definitely it was and still is absolutely beautiful with an excitement. Looking forward to the journey with the Good Lord and you at the helm! Along with the other precious Souls in this opportunity of overcoming.